NEW YORK (CelebrityAccess MediaWire) — Alt-rockers Muse and their label Warner Music are facing a copyright lawsuit from a man who claims that the group copied his music. Charles Bolfrass has filed a lawsuit in New York Federal Court claiming that Muse misappropriated three songs — Exogenesis I, II, and III — on their 2009 album "The Resistance" from his rock opera of the same name. Bolfrass also alleges that the group lifted the cover art for the album from his story boards for the rock opera. 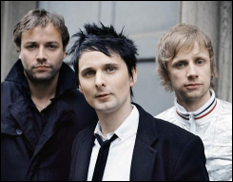 According to Courthouse News, Bolfrass claims that he approached the group in 2005 to pitch an concept album about space travel, but said that Muse proved unreceptive.